The next update for Rainbow Six Siege arrives tomorrow, December 15. This is the latest "mid-season reinforcement" patch, and it makes some major changes to characters and adds a new PvP map. Tachanka has been in Siege since launch, and he's widely considered the weakest of the game's Operators. Ubisoft admitted as much in the patch notes for this update, noting that he has the lowest pick rate of any character. 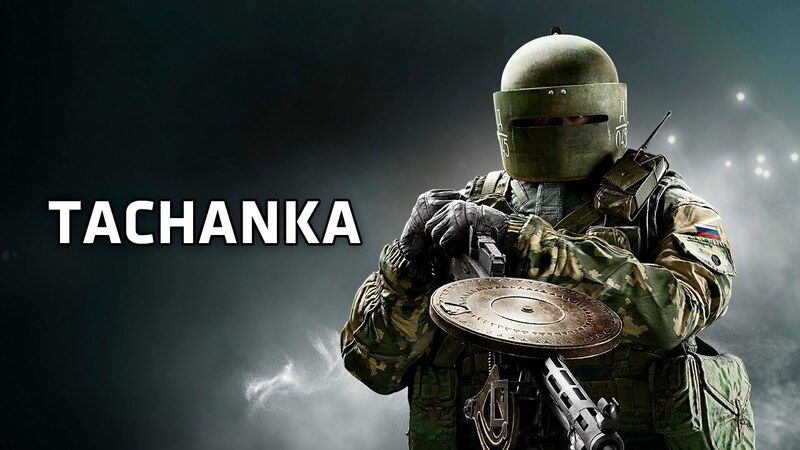 "When looking at Tachanka, the biggest downside lies in the gadget," the developer explained. "The tradeoff between his turret's stopping power and his lack of mobility isn't good enough. Attackers have several ways to deny him with the element of surprise, and can easily headshot him once they know his position." With this patch, Tachanka's turret gains a shield that protects him from headshots in the direction he's facing. It's still possible to flank him and nail a headshot, but the shield should give Tachanka players a better chance to avoid that fate. The shield can be destroyed separately from the turret, provided it's shot enough. To compensate for this added protection, the gun now has some additional recoil and spread when it's fired. Also new is a variant of the Bartlett University map. Previously only available in non-PvP modes, it's been updated to work as a competitive map. "The newly redesigned map removes all the gas and PvE elements from the original design, and introduces better destruction, improved visual layout for better orientation, and a new two-layer destruction," Ubisoft said. While Tachanka's changes are the most significant in terms of character tweaks, he's not the only one seeing changes. Fuze gains an additional cluster charge, and the range at which they're effective is being expanded. Bandit gets another battery, while Smoke's gas canisters will be thrown like grenades, rather than nitro cells. And finally, Blackbeard gets nerfed in three ways: his shield loses HP, the time it takes to aim down sight has increased, and the delay before being able to ADS after sprinting has gone up. Weapons for a number of characters are also being adjusted. The overall goal is to better balance SMGs against assault rifles; this mostly manifests itself in the form of recoil decreases for SMGs. The extensive list of specific changes can be seen here. Also of note, grenade explosions should be more consistent, and shields will now offer directional resistance against explosions (except for those used by Blackbeard and Tachanka). Finally, there are a number of bug fixes. You can check all of those out, along with the full patch notes, here.